Prominent lawyer and one of Pres. Rodrigo Roa Duterte's staunch supporters, Atty. Bruce Rivera, has a very interesting reaction on the tough-talking president's controversial remark on Christianity. Through a Facebook post, Atty. Rivera continued to express his support to Pres. 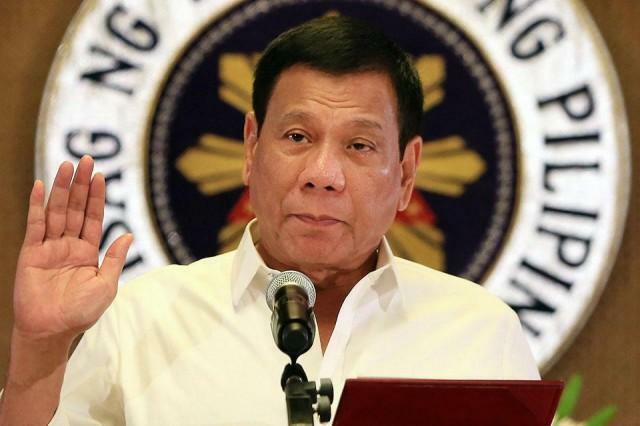 Duterte despite of the latter's comment about 'God' that sparked outrage not only on his critics but also, his supporters. According to Rivera, it was the interpretation of what the president said that was stupid. In addition, the pro-Duterte lawyer highlighted that the Mindanaon president's way of speaking should be taken into consideration. 'People just will not let go. They know PRD to be Bisaya and yet, they treat his language skills like a Tagalog (if he speaks Tagalog) or an English professor, when he speaks English. Sadly our president is none of those, so if you want his words to be lost in translation, it will be very easily. ', he wrote. Providing a deep dive on the topic which is the 'original sin', Atty. 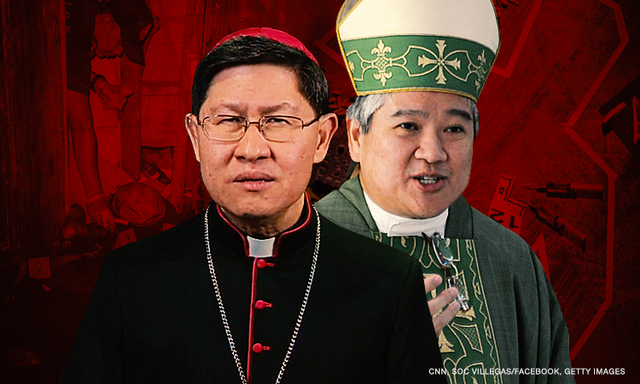 Rivera said organized religion, Catholic Church included, will find a way to control its followers, their minds, and manage to teach them the basic Catholic tool of control which is, according to the lawyer who is also a radio host in TV 5's radio program BolJak, guilt. GOD IS STUPID? PERHAPS, THE INTERPRETATION WAS STUPID. People just will not let go. They know PRD to be Bisaya and yet, they treat his language skills like a Tagalog (if he speaks Tagalog) or an English professor, when he speaks English. Sadly our president is none of those, so if you want his words to be lost in translation, it will be very easily. Just two days ago, media reported that PRD said that God is stupid. This statement did not only make the rounds on the opposition tete-a-tete but it also aroused the sentiments of PRD’s religious supporters, many have already decided he should be castigated for saying those words. Here is the context of how it was said. PRD simply criticized the interpretation of the Catholic Church about the original sin. PRD said that it is a stupid “god” who would punish us for a sin imputed to us even before we are born. This is an honest assessment made by the President because it presupposes punishing a new born child with a sin, though they never committed it. Just because Adam and Eve messed up in the Garden of Eden. From a practical point of view, Eve was tempted by the snake so she also tempted Adam which was easy. So when both ate the forbidden fruit, they were cast out of Eden and we, their descendants are punished with an original sin. While the snake (he may be the devil or some major-major seducer) was not even killed or defeated. And if God is really bent on saving us, why can he not kill the devil. What is the purpose of the devil? I hope it is not to make God relevant. That for as long as we need to be saved from the fires of hell, we will always need organized religion and the prize we have to pay: we fill their coffers with riches. So, anong pinag-iba nila sa mga bloggers na gustong may away palagi para hindi mauubusan ng dahilan humingi ng donation. Hanggat may Dilawan, may aawayin para may datung. At lahat ng hindi susunod sa kanila...tinatawag nilang Dilawan. Wala, pareho lang kayo ng raket ng simbahan. And like the church, you do not like dissent and questions being asked becaus if the believers start to question the doctrines, it will more difficult to blind the flock. Ang driver ko, kahit walang pera, umutang para lamang mabinyagan ang kanyang anak. Hind daw kasi magiging malinis ang kaluluwa ng anak kung di nabinyagan. Paano nagiging madumi ang budhi ng isang sanggol na walang kamuwang-muwang. Dahil may kasalanan na agad. Obvious, organized religion like the Catholic Church will find a way to control us, our minds and manage to teach us the basic Catholic tool of control: GUILT. Confirmation daw pag medyo malaki na. Pag hindi na confirm...guilt na sa believer. Kailangan magpakasal before magsex kasi kasalanan. Pag hindi kasal at nagsex, kasalanan. Kung nagsariling-sikap, kasalanan din. Imagine the guilt the Catholics have to endure. Lalo na kaming mga single. Reconciliation is the act of confessing your sins. Another form of guilt tripping. Ako kasi naniniwala na bakit ko pa idadaan sa pari ang mga kasalanan ko kung pwede naman dumirecho sa Diyos. Fixer lang ba ang peg. And last, holy orders. The guilt trip the priest put on themselves. 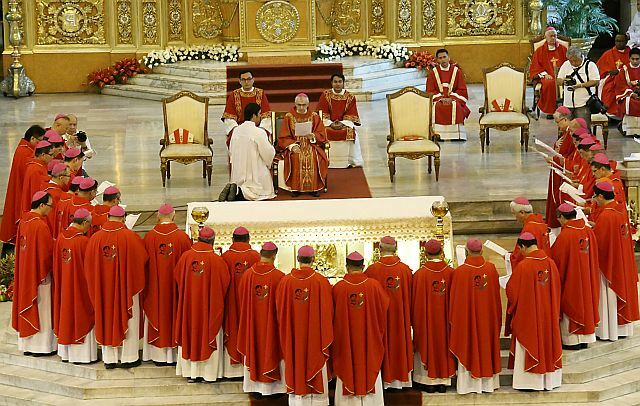 So, if you just get out of your Catholic induced blindness and think like an agnostic or just like me, a believer of God but not of any organized religion, you will realize how stupid or preposterous some of the doctines the catholic have exposed us to. PRD said, if a “god” that allows to impute a sin to newborn children, when clearly they are not at fault, is a crazy god. Meaning, no God is that crazy. Hence, it is not a statement on our faith in God but a criticism of a religious dogma that does not make sense.